This will be the inaugural workshop on the topic of Hong Kong to be held in conjunction with the annual Bernard H. K. Luk Memorial Lecture in Hong Kong Studies. The purpose of the workshop is to enable invited speakers to more fully share their expertise with the Toronto community in a workshop setting, and to bring Canadian and North American scholars into sustained conversation with the speakers on topics of current and global concern. The workshop is inspired by the work of Dr Vivian Taam Wong, a leader in the establishment of the field of integrative medicine in Hong Kong, and the invited speaker for the 2019 Bernard H. K. Luk Memorial Lecture in Hong Kong Studies. Together with Dr Taam Wong, workshop participants will examine the topic of integrative Chinese and Western medicine from two perspectives: scholarly research on the history of the relationship between Chinese medicine and Western biomedicine, and the current clinical practice of integrative medicine in Hong Kong. These participants include preeminent experts on various aspects of Chinese medicine from Hong Kong, Canada and the United States. Collectively, they will rethink the historical interplay between scientific biomedicine and Chinese medicine, and explore new possibilities in the medical field in both Hong Kong and the West today. The workshop will be followed by the Third Bernard H. K. Luk Memorial Lecture in Hong Kong Studies — Integrative Medicine from China to the World with Vivian Taam Wong, Honourary Professor, School of Chinese Medicine, Li Ka Shing Faculty of Medicine, University of Hong Kong. This workshop is presented by the York Centre for Asian Research and the Richard Charles Lee Hong Kong Library with support from Mr. KY Ho and Ms. Betty Ho, the Faculty of Liberal Arts & Professional Studies and Department of History at York University. The introduction of western medicine through missionaries into China disturbed the modus operandi of a paternalistic society where the balance of yin and yang supported practices with heart and wisdom. The monolithic drive for modern scientific evidence stifled Traditional Chinese Medicine (TCM) which waxed and waned through the last century. The dawn of Integrative Medicine 60 years ago was through a call by Chairman Mao to invite the best western medicine doctors to study CM. The problems in recognition of CM and obstacles to integration were overcome by steadfast research in bio-medical sciences, post-genomics, network pharmacology, and state-of-the-art imaging technology. With production of books in local languages, formalization of education, examination and licence to practice, integrative medicine began to take shape on all continents. International communication and collaboration has been fostered by the World Federation of CM, Consortium for Globalization of CM and Good Practice TCM Research Association. The Royal Botanic Garden’s archive of Chinese herbal materia medica, the NIH research funding via NCCIH, the FDA IND for herbal formulae and the EMA’s changes in European Pharmacopeia set the scene for regulatory harmonization with the Chinese Pharmacopeia. The WHO will introduce the ICD 11 with a chapter on TCM. China will build more than 130 CM facilities along the Belt & Road, within five years, to bring affordable healthcare to developing countries. Dr Wong, who is an honourary fellow of Hong Kong University and the Open University of Hong Kong. 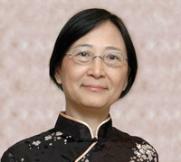 She has served as chief executive of Queen Mary Hospital and, subsequently, the Hospital Authority of Hong Kong. As a public health specialist in policy and research at the World Bank, and consultant to the World Health Organization, she has participated in projects in China covering rural health manpower development, maternal and child health and primary healthcare. She set up the network of Chinese Medicine (CM) Centers for Training and Research in each district in Hong Kong, and has had leadership roles in the Hong Kong Association for Integrative Chinese-western Medicine, the Consortium for Globalization in CM, Modernized CM International Association and the GP TCM Research Association. The annual lecture in memory of York University History professor Bernard H. K. Luk is presented by the York Centre for Asian Research and the Richard Charles Lee Hong Kong Library. This year’s lecture and accompanying workshop is generously supported by Mr. K. Y. Ho and Ms. Betty Ho, the Faculty of Liberal Arts & Professional Studies and Department of History at York University. The lecture will be preceded by the Synergies between Chinese and Western Medicine in Hong Kong and Beyond: Historical and Contemporary Perspectives workshop. Please RSVP to ycar@yorku.ca by 20 April 2019. This event is presented by the Canada Vietnam Society (HIỆP HỘI CANAĐA – VIỆT NAM) with support from the York Centre for Asian Research at York University. The York Centre is pleased to host Professor Ambeth Ocampo on 3 June 2019 at York University as part of his National Commission on Culture and the Arts (NCCA) lecture series in North America. Please save the date. Further details to follow. Professor Ocampo is a publican historian and faculty member of the Department of History, Ateneo de Manila University. The Chinese government has launched a new social credit system in the early 2010s to monitor citizen and businesses’ behaviour and reputation as well as their access to goods and services. Citizens with low social credits (or social score) may receive punishments such as travel bans, slow internet connection, exclusion from hotels as well as registration on a public blacklist. In this research talk, we will discuss how the Chinese government transforms their governance approach to discipline citizens’ everyday behaviours. We will also discuss how new technologies such as Internet of Things (IoTs) and big data analytics become tools for maintaining the social order. We will conclude the talk with an open dialogue regarding consumer privacy and consumer citizenship in the new state-operated reputation system. Dr. Eric Li is a marketing and consumer researcher with a PhD in Marketing from the Schulich School of Business at York University and a Masters in Anthropology from the Chinese University of Hong Kong. His research interests include consumer privacy, global consumer culture, digital marketing and consumption, the integration of internet of things (IoT) and internet of people (IoP) in the market systems. He is currently working on research projects related to prosocial behaviours, corporate philanthropy, and the distributed trust. Dr. Magnum Lam is a consumer researcher with a PhD in Fashion Business from the Hong Kong Polytechnic University. His research interests include consumer moralism, design and aesthetic experiences, and consumer acculturation.